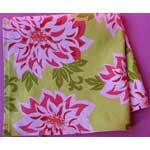 Napkins are an easy way to brighten a holiday or special occasion table. 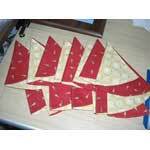 Below are patterns for Christmas, Valentines, country napkins and fancy napkins. Since they sew up quickly, why not make a set for all your dinners? Cloth napkins are a treat at home, can save money by reusing them and will make all your dinners seem more special and the food taste better. 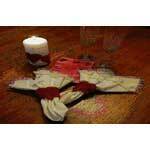 Here are the perfect napkins when planning a romantic dinner for two this Valentine's Day. This charming square napkin with rick rack trim is a cinch to make and will certainly add to the decor of your table setting. 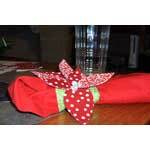 Have fun making these adorable poinsettia napkin rings to add to your Holiday table setting. 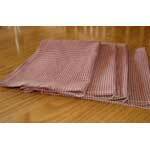 Sewing your own cloth napkins helps reduce waste and saves you money, it's a win, win situation, see how. 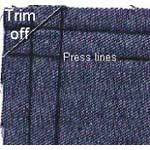 This detailed pattern has step by step pictures to help you in sewing sixteen inch napkins in your choice of fabric and prints. 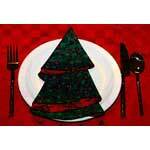 Here is a napkin pattern for napkins that are round in shape and fold up in the shape of a Christmas tree. 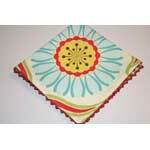 Cloth napkins can be simple to sew with the right pattern. 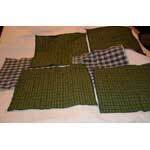 Use this simple pattern and make several napkins in a small amount of time. 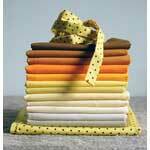 Here is a napkin pattern that will have you sewing polka dot trimmed napkins is warm autumn colors of yellow, brown and burnt orange. 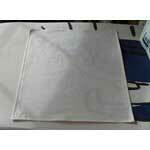 Here is a step by step pattern along with illustrative photos to assure you sew the perfect cloth napkin. 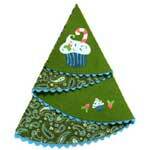 Get into the Christmas spirit my sewing lovely Christmas tree napkins to adorn your table setting this year. 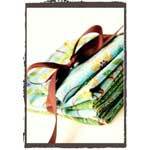 Make a set of these napkins with mitered corners for a lovely house warming or wedding shower gift. This pattern is for napkins that measure a little bit smaller that the average napkin as they are easier for children to handle. Create an amazing table setting with colorful holiday napkins in the shape of a tree and with rick rack trim. 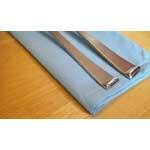 A set of cloth napkins make a great gift or help you in creating a lovely and elegant table setting of your own.